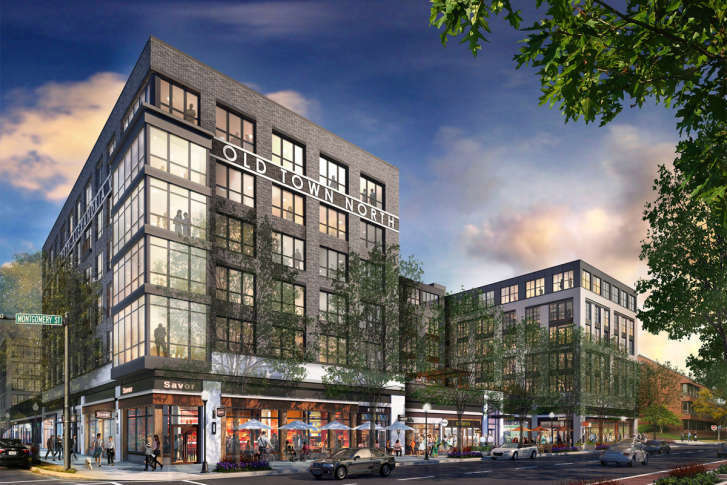 Developers officially broke ground on a mixed-use residential and retail development in Alexandria's Old Town North Wednesday that will eventually bring 50,000 square feet of restaurant and retail space to the area. WASHINGTON — Developers officially broke ground on a mixed-use residential and retail development in Alexandria’s Old Town North Wednesday. The project, at 530 First Street, is being co-developed by EDENS and Gables Residential. Gables Old Town North will include 50,000 square feet of restaurant and retail space and 232 residences. Wednesday’s groundbreaking was largely ceremonial, with Alexandria Mayor Allison Silberberg and City Manager Mark Jinks on hand. Actual construction will begin sometime this spring. The development will open in 2019.